Every year towards the end of the school year I rack my brains, and the last 2 years Pintrest, to give my kids teachers a gift that wont be re-gifted or thrown away. Last year I went with homemade chocolates and gift cards to Dunkin Donuts. This year the card of choice is Starbucks so I wanted to go with the drink theme. I scoured Pintrest and saw alot of cup themes so I picked one and altered it to my taste. Here is the result! Here is what we bought and put in the cup. The cup we got at the Dollar Store because Abby really liked the design. The packets we bought at the grocery store. And of course you don't have to use a Starbucks card. Other ideas are Dollar Store, Coffee Shop or even grocery store cards. The drink packets are attached to a piece of card stock with double sided tape. 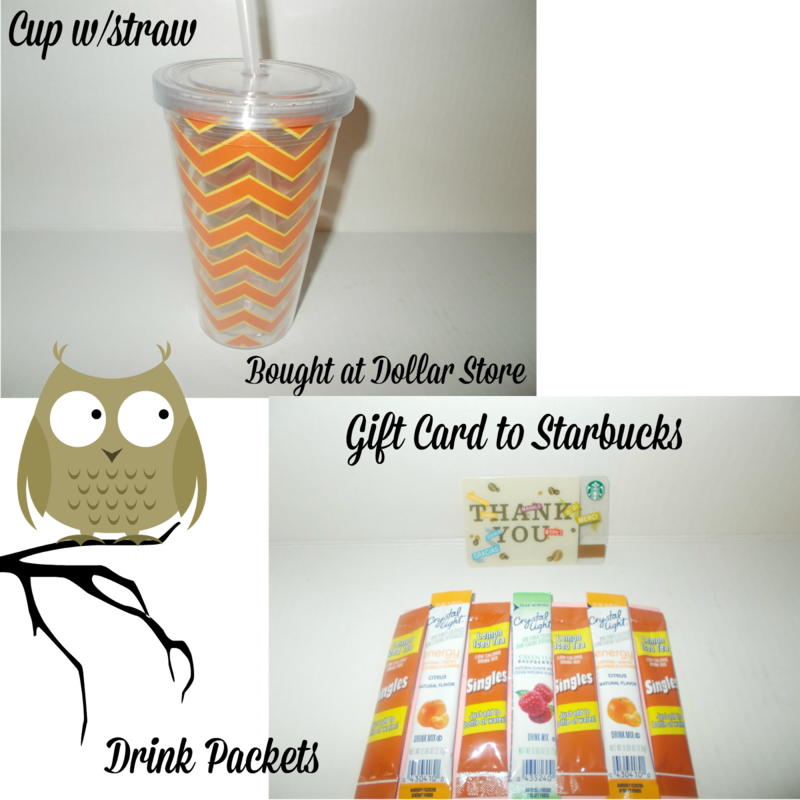 That paper is rolled to fit into the cup and the gift card is tucked into the center of the cup. Re-attach the top. 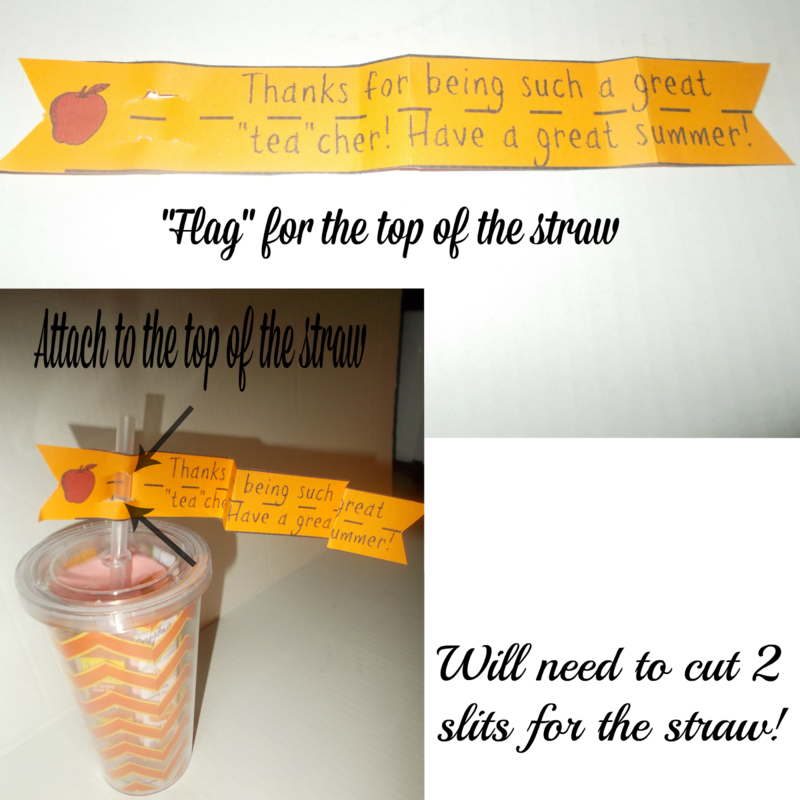 The flag for the straw I designed on Picmonkey. It took me a bit of doodling but I finally got one I liked. You can see my template HERE. You can use this one or make your own. It is simple! Just remember to make 2 small cuts for the straw to fit. I also bought a package of 3 brown paper gift bags to put the cup in. We took one out and Abby drew a picture on it and we wrote a small Thank You note on the other side. That way we didn't give her teacher an extra piece of paper to toss. 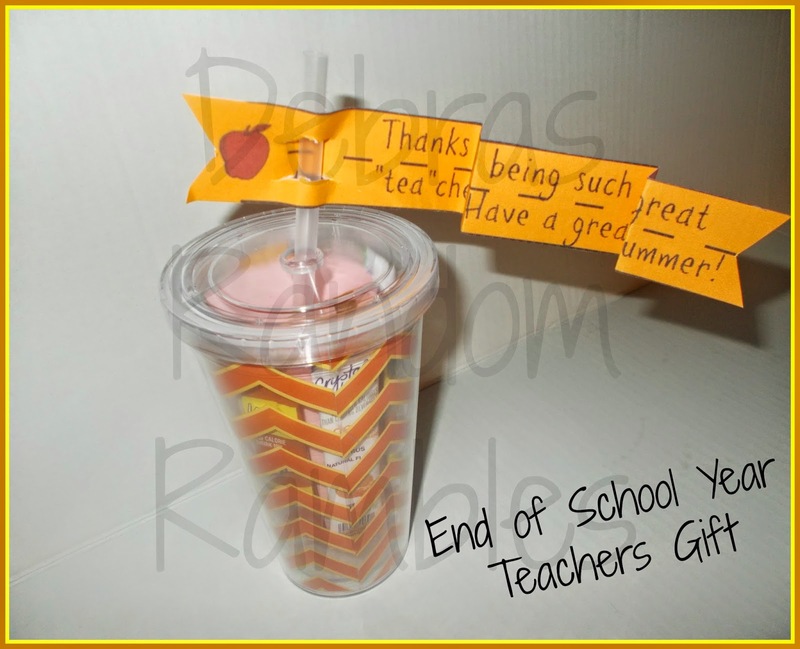 We made another one for her bus driver using a cup like this but with white polka dots and filled it with Hershey Kisses and Rollo's. (Her drivers favorite candy!) We did the same thing with a brown paper gift bag that we did for her teacher. The last day of school will be here soon and unlike past years, I'm teacher and bus driver gift ready! Ideal Shape Exclusive Coupon offer! Box Tops for Education Frustration! Rockin 4th of July Giveaway!!! $100 Pro Guide Direct Giveaway!